Even though poetry books do not have many takers, this does not prevent the poets from publishing their collections. 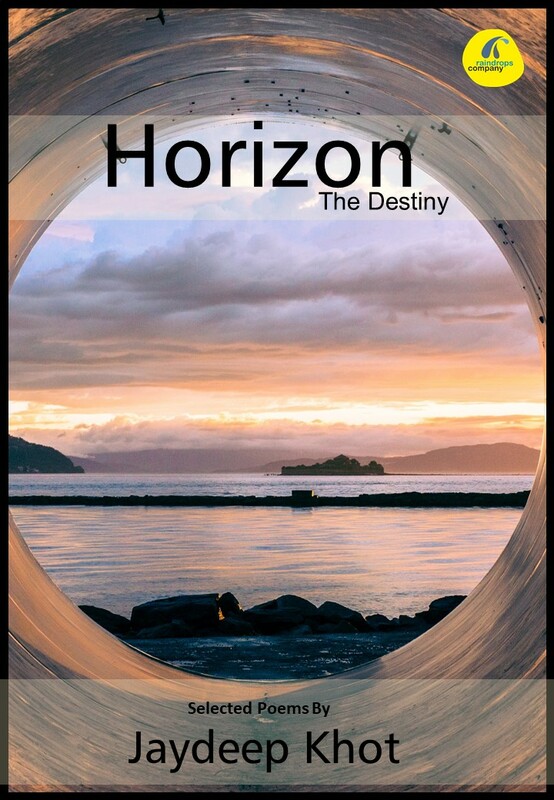 Recently I got a chance to review one such collection named Horizon: The Destiny, which has been penned by Jaydeep Khot. In fact this was one of the few poetry books that I have reviewed and being a lover of this genre, the task gave me immense pleasure and joy. The cover of the book has been designed in a simple yet elegant manner and seems to reflect the thought of the writer’s unique view of the world. The book comprises of an amazing collection of poems about the various aspects of life including, love, travel, examination and other such aspects. Reading these poems, I found it really hard to believe that they had been written by a 22 year old writer. The mesmerizing thoughts and emotions expressed in the verses often left me amazed at the immense skill of Jaydeep. The rhythmic flow of the poems, the simple language, and the easy to understand and interpret themes, that form a part and parcel of a common man’s life, have lent a realistic appeal to the book. What made the book even more entertaining for me is that the poems featured in it had a motivational and inspirational quality to them. The extremely simple language makes the poems easy to comprehend even for people, who do not have much strong hold on the language. Most importantly, the choice of subjects is such that it does not turn the book into a heavy literature work but rather a source of encouragement for the readers. In fact, unlike most other poetry collections, this book is not aimed to attract the interest of only the most intellectual literature lovers but for general readers. I personally loved the book and wish Jaydeep all the best for its success.